On December 14, 2012, twenty year old Adam Lanza forced his way into Sandy Hook Elementary School in Newtown, Connecticut, and, during the course of 264 seconds, fatally shot twenty first grade children and six staff members, and wounded two other members of the staff. Lanza carried out this massacre using a Bushmaster XM15-E2S semiautomatic rifle that was manufactured, distributed, and ultimately sold to Lanza’s mother by the defendants. There is no doubt that Lanza was directly and primarily responsible for this appalling series of crimes. Some of the victims’ survivors, however, brought suit against the gun manufacturer and others, on the basis that they bear some of the blame. The Connecticut Supreme Court agreed with the defendants that most of the plaintiffs’ legal theories and claims were precluded by Connecticut law and/or the Protection of Lawful Commerce in Arms Act (“PLCAA”), a Federal statute that, with limited exceptions, immunizes firearms manufacturers, distributors, and dealers from civil liability for crimes committed by third parties using their weapons. 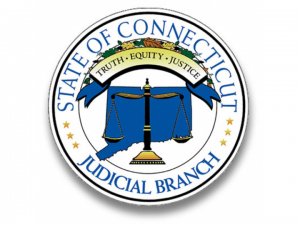 “The plaintiffs have offered one narrow legal theory, however, that is recognized under established Connecticut law. Specifically, they allege that the defendants’ knowingly marketed, advertised, and promoted the XM15-E2S for civilians to use to carry out offensive, military style combat missions against their perceived enemies. Such use of the XM15-E2S, or any weapon for that matter, would be illegal, and Connecticut law does not permit advertisements that promote or encourage violent, criminal behavior.” Following a scrupulous review of the text and legislative history of PLCAA, the Court also concluded that Congress has not clearly manifested an intent to extinguish the traditional authority of State legislatures and courts to protect their citizens from the pernicious conduct alleged. “A common theme running through supporters’ statements was that holding a firearms seller liable for third-party gun violence for which the seller is wholly blame-less is no different from holding producers of products such as automobiles, matches, baseball bats, and knives strictly liable when those ubiquitous but potentially dangerous items are inappropriately or illegally used to commit crimes…. There is no indication that the sponsors of PLCAA believed that sellers of those consumer products should be shielded from liability if, for example, an automobile manufacturer advertised that the safety features of its vehicles made them ideally suited for drunk driving, or if a sporting goods dealer ran advertisements encouraging high school baseball players to hurl their bats at the opposing pitcher in retaliation for an errant pitch. That is, in essence, what the plaintiffs have alleged in the present case. To the extent that supporters of PLCAA were concerned with lawsuits other than those seeking to hold firearms sellers strictly liable for gun violence, they consistently expressed that their intention was to foreclose novel legal theories that had been developed by anti-gun activists with the goal of putting firearms sellers out of business. “The plaintiffs’ theory of liability is not novel; nor does it sound in tort. The plaintiffs allege that the defendants’ engaged in unfair trade practices in violation of CUTPA, a statute that was enacted in 1973. Furthermore, CUTPA, by its express terms, is modeled on the FTC Act; which has been in effect for more than one century. As we explained, the FTC Act and its state counterparts have long been used to regulate not only the sale and marketing of firearms but also claims that sellers of other dangerous products have advertised their wares in a manner that modeled or promoted unsafe behavior and created an unreasonable risk that viewers would engage in unsafe or illegal conduct. “It is, of course, possible that Congress intended to broadly immunize firearms sellers from liability for the sort of egregious misconduct that the plaintiffs have alleged but failed to effectively express that intent in the language of PLCAA or during the legislative hearings. If that is the case, and in light of the difficulties that the federal courts have faced in attempting to distill a clear rule or guiding principle from the predicate exception, Congress may wish to revisit the issue and clarify its intentions. “We are confident, however, that, if there were credible allegations that a firearms seller had run explicit advertisements depicting and glorifying school shootings, and promoted its products in video games, such as “School Shooting,” that glorify and reward such unlawful conduct,85 and if a troubled young man who watched those advertisements and played those games were inspired thereby to commit a terrible crime like the ones involved in the Sandy Hook massacre, then even the most ardent sponsors of PLCAA would not have wanted to bar a consumer protection lawsuit seeking to hold the supplier accountable for the injuries wrought by such unscrupulous marketing practices. That is not this case, and yet the underlying legal principles are no different. Once we accept the premise that Congress did not intend to immunize firearms suppliers who engage in truly unethical and irresponsible marketing practices promoting criminal conduct, and given that statutes such as CUTPA are the only means available to address those types of wrongs, it falls to a jury to decide whether the promotional schemes alleged in the present case rise to the level of illegal trade practices and whether fault for the tragedy can be laid at their feet. Soto v. Bushmaster Firearms, No.19832, 2019 WL 1187339 (Conn. March 19, 2019).